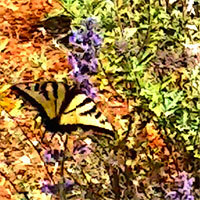 This new WordPress website, is mobile and device friendly for Dr. Jeffrey Ptak. 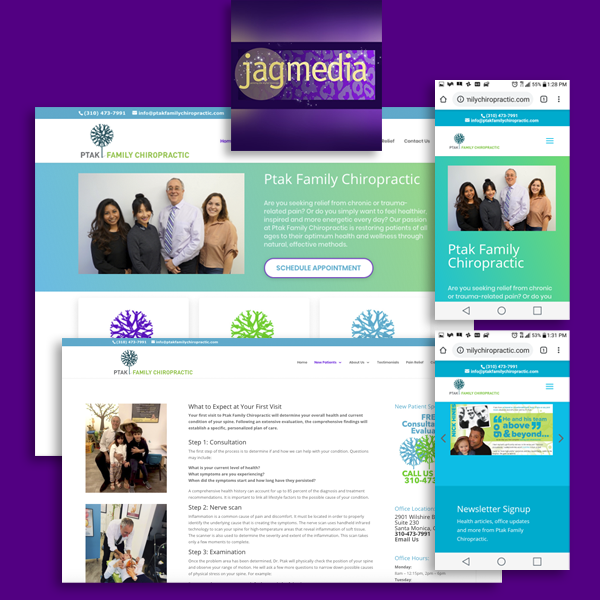 He recently moved his practice to a new location in Santa Monica and the website carries over the theme from the office with a clean look, aqua blue and bright green color palette that reinforces their branding. 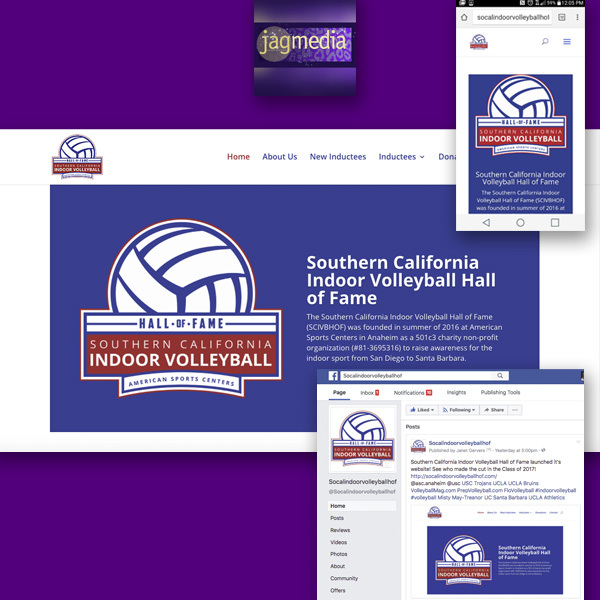 It includes videos, testimonial slideshow and calls to action throughout the site. This new online business search directory for coworking spaces is freshly launched. The website is created using WordPress, combined with Google Maps and a location plugin that allow endusers to search spaces and see them located on a map, plus a link to a page with more information for coworking spaces that use the Enhanced plan, while others get a free, basic listing on the website. 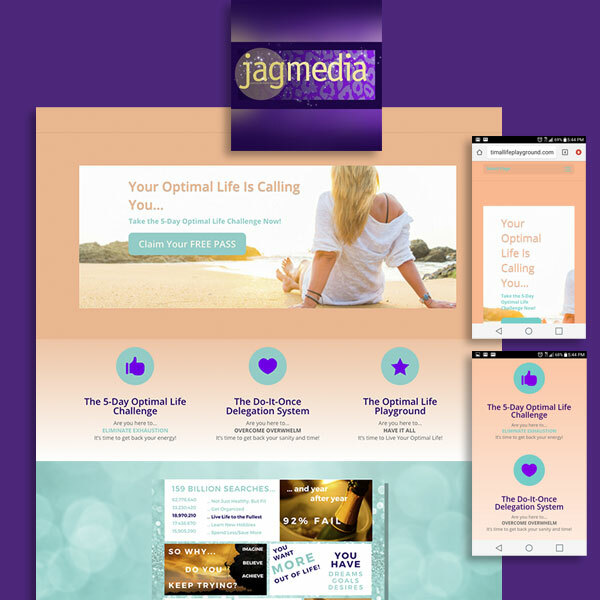 This website project utilized Jagmedia’s “Website of Your Dreams” WordPress website package that includes our expert guidance for this life coaching site. 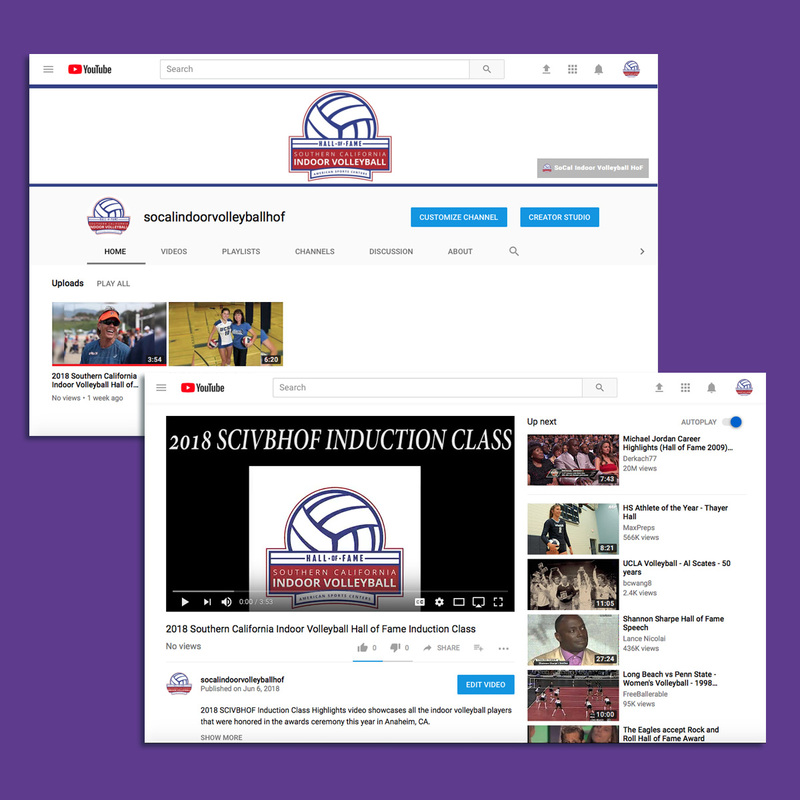 The website functions as a landing page for a membership program at present and will be built out to a full fledged website this year. The site also includes a downloadable ebook for those that join the program. 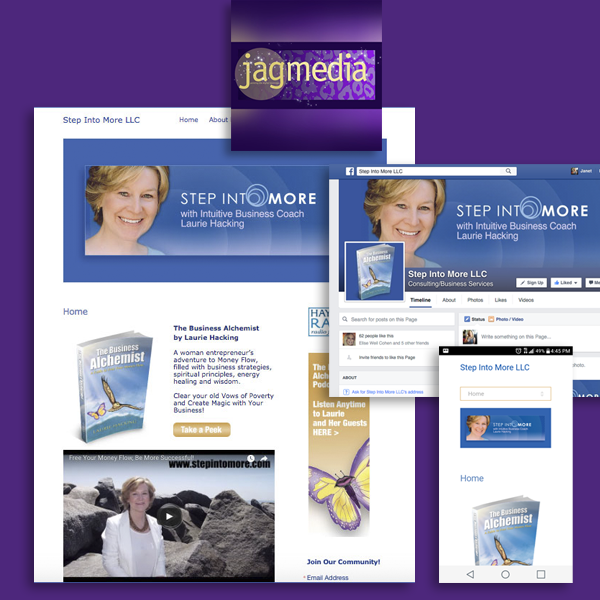 Jagmedia specializes in creating digital magic for Coaches of all varieties, including: Business Coaches, Intuitive Coaches, Speaker Coaches and more. 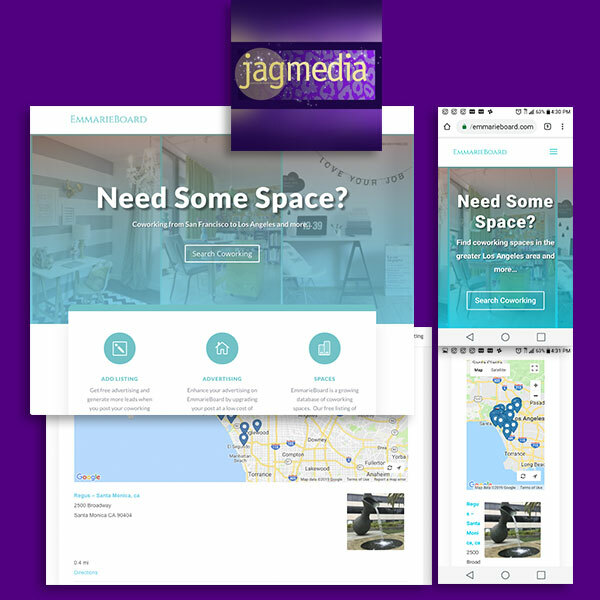 If you’re in the Coaching field, why not connect with Jagmedia to see how we can help you get your business off the ground and reaching for the stars!? Business Coach Laurie Hacking needed her branding to be updated in a cohesive manner with a new website design that incorporated her new book, plus a bonus page, email with auto responders and graphics for social media. 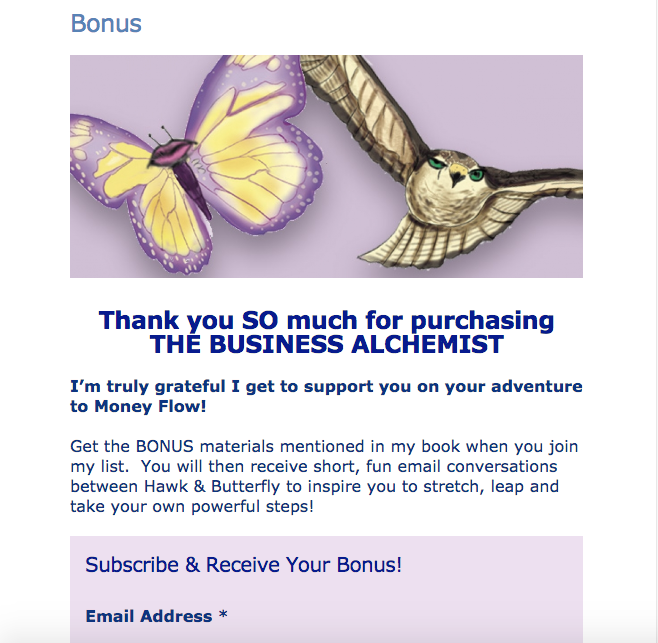 Bonus Content Landing Page seen here contains email optin, where book buyers are rewarded with additional content sent via email autoresponder for that we created, in addition to a custom email template. 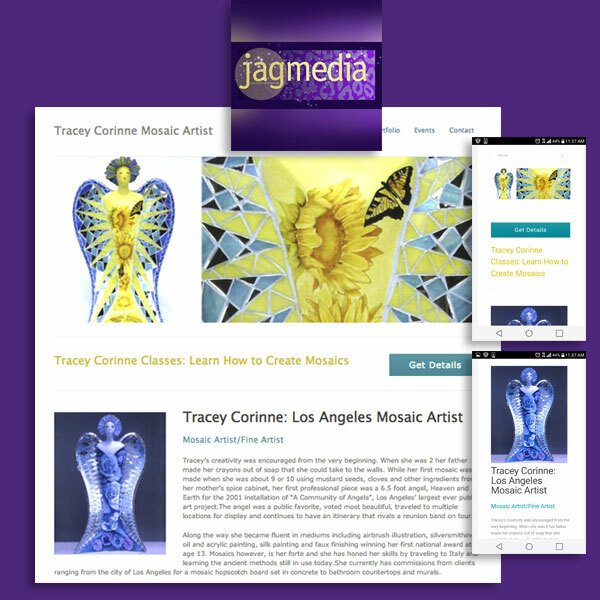 In addition, Jagmedia created the monthly email template for all subscribers. The Bonus Email Custom Template Design was built on the Mailchimp platform for email automation.